Your are dedicating a new Sefer Torah in memory of a loved one and you are now ready for the next step: finding a Torah mantle to adorn and treasure the priceless Torah scroll. The High Holidays are approaching soon and it is time to give our Torah Scrolls an uplift by replacing them with new, crisp white Torah covers to remind us of the Holy Days of Awe. Are you in the process of buying a new Torah Cover for your Sefer Torah and having trouble getting the proper measurements? Well, no worries! Here's an easy guide on how to measure a Torah mantle to get that perfect fit! 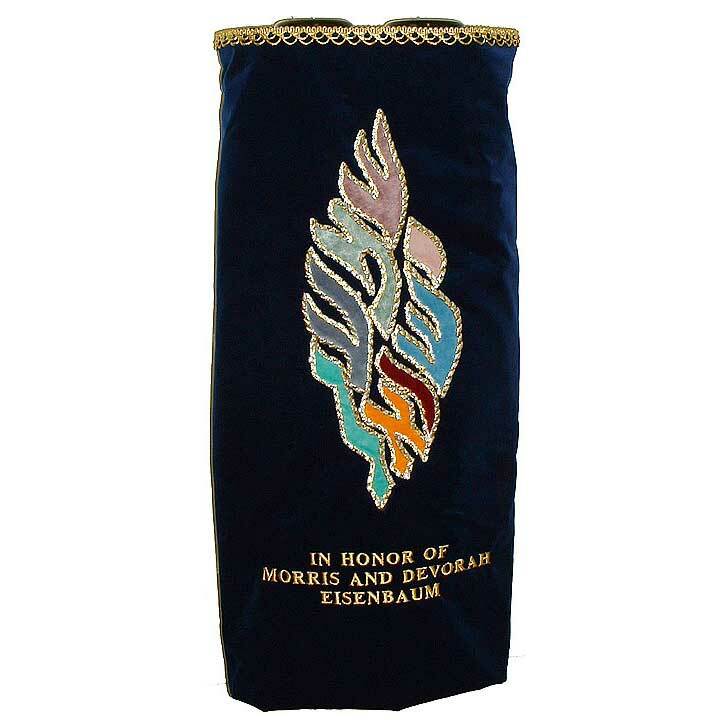 Explore the options of background color for your Torah cover or choose to coordinate with your unique synagogue decor. Sign up for the latest news and exciting offers. Be the first to know of the most recent Torah mantle designs and exciting deals!